High school students are at a stage where they realize how important work will be in their lives, and how, from a personal agency perspective, it will frame who they are and give them control over what they can do with their lives. Employers are at a stage where they recognize that the long term viability of their business is dependent upon their ability to attract today’s youth into the pursuit of careers essential to the success of their businesses and organizations. With this in mind, the Mission of the Program is: To provide high school students with work experience internships where they learn essential job and life skills. Employers are recruited from across Kitsap County. Over the summer mid July to August, the interns are paid to do both a job and learn from a mentor about the various aspects of the business they are working in. Applications are sought starting in February each year. Applications Due May 1st. For questions, please contact: Brittany Wisner, BYS Program Coordinator, via brittany@bainbridgeyouthservices.org or call (206) 842-9675. Bainbridge Youth Services invites you to nominate a youth under the age of 21 for the 17th annual BYS Compassionate Action Celebration. Please help us honor a young person who has made a difference through an act of kindness, compassion, service, or environmental stewardship. This year the Compassionate Action Celebration will focus on individual nominees and the impact they have made. Our aim is for the nominees to more fully understand the positive impact they have had on another person or other people. To that end, we ask that you personalize each nomination you make by telling us what the young person did that made him or her stand out and how that impacted others. Thank you! BYS wants to celebrate youth who go above and beyond what is required or expected in school, jobs, activities, and relationships with others in the community. Nominees will be honored at a Compassionate Action Celebration on November 15, 2018, 7pm at Bethany Lutheran. To nominate a youth for this recognition, CLICK HERE. PLEASE NOTE: Nominations will no longer be accepted after November 7th. For questions, email Susanne Schneider: Susanne@bainbridgeyouthservices.org. Join friendly peer counselors in a relaxed environment in Bainbridge High School, Room 103 for free tutoring in all subjects. One-time only or ongoing, as needed! If you are interested in technology and helping others get comfortable with gadgets, please join our Tech Tutoring program. We head to the Senior Center every few weeks to help senior citizens get comfortable with technology and their gadgets. Please contact Tutoring@Bainbridgeyouthservices.org to schedule an appointment. The Rose Scholarship is awarded annually to a graduating senior in support of the recipient’s creative and educational pursuits. The winner of this award is chosen by Bainbridge High School counselors and presented by Bainbridge Youth Services. The scholarship was established in 2013 in memory of Lucille Rose Gendreau who grew up on Bainbridge Island and was a member of the graduating class of 2007. We have moved our job board to an email list. If you are a youth and looking for local jobs, please stop by the BYS office or join our email list below. If you are an employer and want to post a job, please call us at (206) 842-9675 or send an email to Brittany with a description of the job at brittany@bainbridgeyouthservices.org. Please note: our office hours are 8:15am – 3:30pm, M-F. We do not check job board emails after hours. Bainbridge Youth Services acts as a free-of-charge job posting service only and makes no recommendations regarding potential employers or youth employees. BYS is not responsible for safety, wages, working conditions, or any other aspect of this private employment. All hiring, scheduling, and compensation for BYS job postings are handled directly between the youth and the employer. BYS does not perform background checks on youth applying for jobs, and we do not research the integrity of each organization or individual person who lists a job with us. BYS has no control over the quality, safety, or legality of the jobs posted, the truth or accuracy of the listings, the ability of employers to offer job opportunities to youth, or the ability of youth to fill job openings. As a result, there are risks, including but not limited to the risks of dealing with: strangers, underage persons, or people acting under false pretenses. Accordingly, the information provided on the board is provided “AS IS.” By using this site, you agree to assume all risks associated with dealing with other users whom you come in contact with through information provided on this website. Employers and youth are urged to perform due diligence when offering, applying for, or accepting employment by requesting from each other references or any additional information needed to establish qualifications and credentials so as to ensure an overall fit between employer and youth. Students can volunteer their time with BYS in numerous ways. We do provide community service hours! Other volunteer opportunities exist across the island. 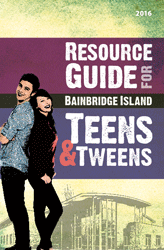 This resource guide (PDF, 5.8MB) is a compilation of those opportunities and we invite all tweens and teens to take advantage of working with and learning from these wonderful island resources.